Tarek Windstriker had known fear in his life, having seen his life blood spilled on the ground around him before looking up at the wrong end of a dozen enemy swords. And on the day that those near-fatal wounds healed enough to allow him to stand before his queen and give his account of how he had failed to protect her eldest daughter from their enemies, he had known that fear once more. Having faced such things, he did not expect a mere human woman to bring him to his knees, at least metaphorically speaking. 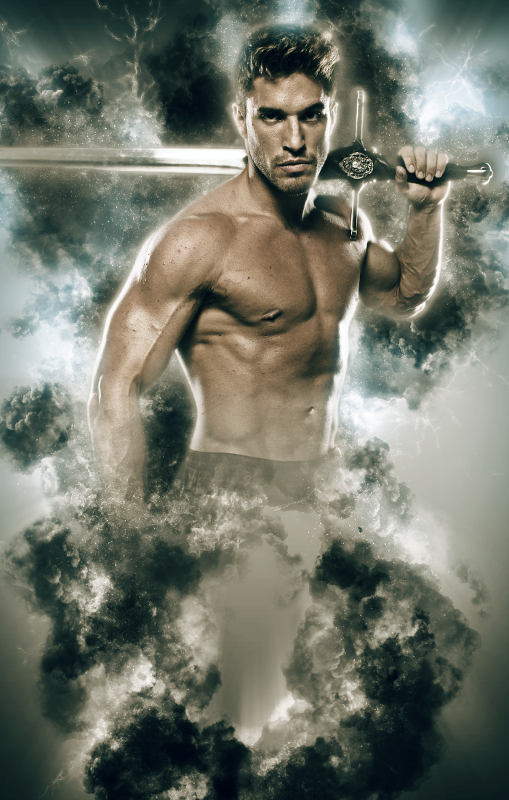 There were not a dozen Ironflight warriors, ready to spit searing gouts of flame at him, standing between him and his princess. He was close enough to see the princess’s delicate eyelashes fluttering. And the only thing standing between him and Ashariah was a human woman. Did you love Wings of Stone? 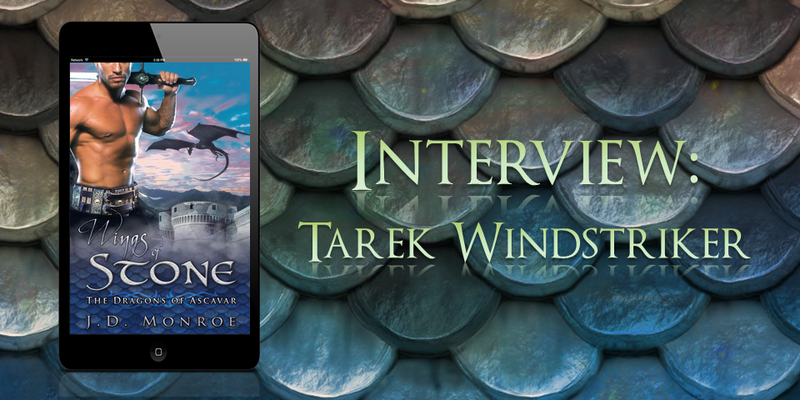 Want to get to know the quiet but ferocious Tarek Windstriker a little better? Tune in for this interview! 1. Hey there, handsome. Can you tell me your name and a little about where you come from? Handsome? Well…thank you. That is a complicated question. I hail from the lands of Vakhdahl, the territory ruled by the Stoneflight dragons. After an…unfortunate incident, I was sent into the human world to guard the Broken Stone Gate, a portal connecting our two realms. My formal name is Tarek efan Izera. My mother was Izera; therefore my name means Tarek, son of Izera. I am also known as Tarek Windstriker. And here in the human world, I sometimes wish to go unnoticed. My accent raises enough questions, so I may give the name Derek instead. 2. Okay – we’ve got to talk about the dragon – er, elephant – in the room. You’re a dragon shifter. Yes. I am confused. Is this a question in your language? 3. Dude. What’s that like? Can you breathe fire? Can you fly? No, I cannot breathe fire. Some dragons can. But all of my kind have an affinity for a certain element. Like many dragons of the Stoneflight, I have an affinity for air. I can manipulate the wind to propel me with incredible speed, or even conceal me from sight. Very useful. 4. Whom do you trust the most? Until a few weeks ago, I would have told you I could only depend on myself, and even that could be a questionable matter. Then I met Gabrielle. If I had to trust someone with my heart or my very soul, it would be her. 5. She sounds special. How did you meet? (laughter) That is a long story that will take too much of both of our time. Let it suffice to say that she is indeed special. If you told me that our goddess herself, the Skymother, crafted her by hand, I would not be surprised. 6. What drew you to Gabrielle? Truly, fate threw us together in a rather turbulent meeting. It was not either of our choice, but I quickly recognized a number of remarkable things in her. Ferocity. Compassion. Kindness, but not softness. She would endanger herself to help those who were vulnerable with no thought of reward. And for some inexplicable reason, she cares for me. You did not mention that you would be prying into my personal life. Could we change the subject? 7. Sorry about that! How about some fun questions? Boxers or briefs? 8. Does that mean…you know what, never mind. Shifters gonna shift. Favorite food? My true favorite is a delicacy from home, an aged, smoked meat served in a layer of sweet, honeyed bread. There is nothing like it here. Gabrielle tells me this is basically a Beef Wellington, but as I have repeatedly explained to her, we do not have beef in my homeland. Or cows. Still, she has attempted to replicate it numerous times, and while it is not the same, I am honored and humbled by someone who cares enough to try. When I first came to the human world, I missed the cuisine of home terribly. We attempted to cook at the Gate, but we are soldiers, not chefs. Broken Stone Gate is very close to the human city of Las Vegas, so we ended up ordering out frequently. That was when I discovered the joy of Korean food. I would like very much to visit this Korea to see for myself where this delightful food comes from. 10. I can tell you’re ready to get going. One last question, since it sounds like you’ve got the love front figured out. If you could give relationship advice to all my readers, what would you tell them? Do not let your sense of pride or fear keep you from love. If you adore someone, you must tell them. Life is unpredictable, and you may not get the chance again. And if you are lucky enough to find your isin-serahl – the person sent to you by the gods themselves – then you must tell them at every opportunity. Give thanks for your good fortune. Pour your love into that person, for many are never so blessed. Better to be a fool known by your love than a fool who loses the greatest gift of all. 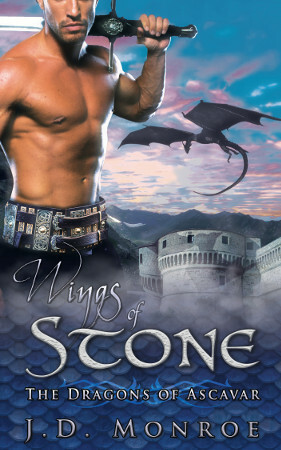 Check out WINGS OF STONE, the story of Tarek Windstriker and Dr. Gabrielle Rojas!